There was a lot of talk on numerous blogs about Susan Sully's The Southern Cosmopolitan. That was not the only book that Susan Sully "wrote" this year. 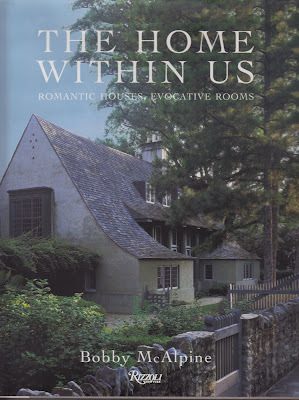 The other book, which hasn't been as widely blogged about is Bobby McAlpine's The Home Within Us. For me, this has been best design book of the year. I know you think I think that because Bobby McAlpine is from Alabama -- well you are wrong. 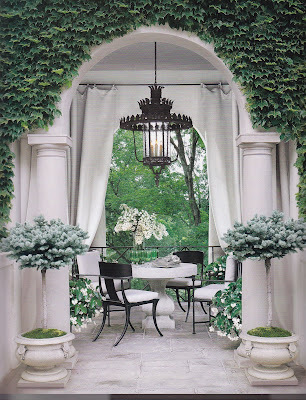 There is something "indescribable" about McAlpine's work. There is, to steal the title of Flannery O'Connor's essays, a mystery and manner to McAlpine's work. 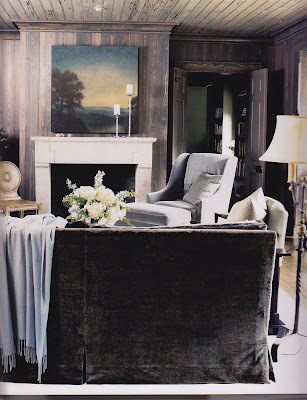 It is that mystery, an unseen but always felt presence that draws me to McAlpine's work. "To create spaces with a broad emotional spectrum, there has to be a pendulum that strikes far to the left and far to the right. A rhythm of the grand and the humble, the exhilarating and the calm, the bold and the tender must be struck at a regular rate." "I rarely work in a single style. With intuition as my guide, I borrow freely from the entire language of architecture." One has to hand it to Susan Sully, who allowed McAlpine's voice to flow through this book. 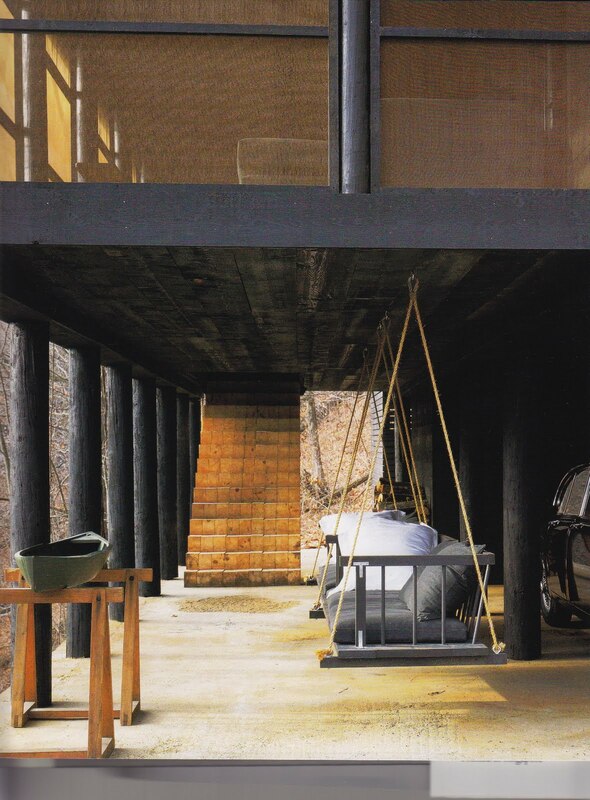 Unlike most design books that use text to create a house, Bobby McAlpine's words create a home. Like most people, I immediately opened the book to look at the pictures, but reading the insets from McAlpine, I was constantly drawn and re-drawn to the text. The text reminds my of my first reading of The Poetics of Space by Gaston Bachelard. There were times when I wanted to hold the text, in a slim volume, devoid of the glowing photos, so as not to be distracted by them. To me, Bobby McAlpine excels in his use of juxtaposition. His small houses, fishing camps, shacks and cottages bring out his consummate sense of home. I adore the rich velvets with the raw wood; old garden urns filled with apples; broken slabs of marble. "The cabin has such a cratelike nature that it was impossible to resist putting guilt and fine things in its presence, It was a beautiful foil for things unlike itself. And so there was a lesson somewhere for me in the pendulum's swing between rough plank walls and guilt frames, great tapestries and absolute raw floors." 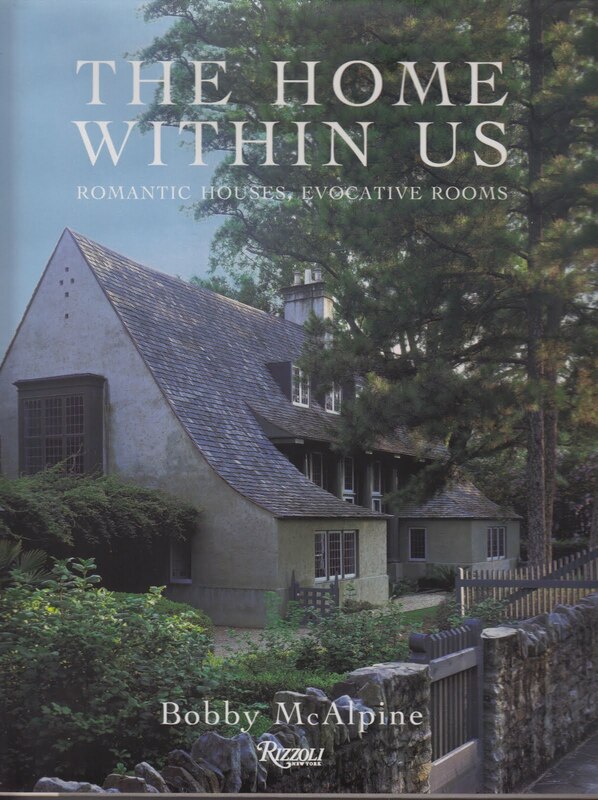 If the cabin catches on fire, I am going back in to retrieve my copy of The Home Within Us. Thanks for your kind words about our book. It's odd thet you mention the book "The Poetics of Space". It's one of our favorite books on architecture. Oddly enough, it's not written by an architect. Keep up the beautiful work here of discussing beautiful things.